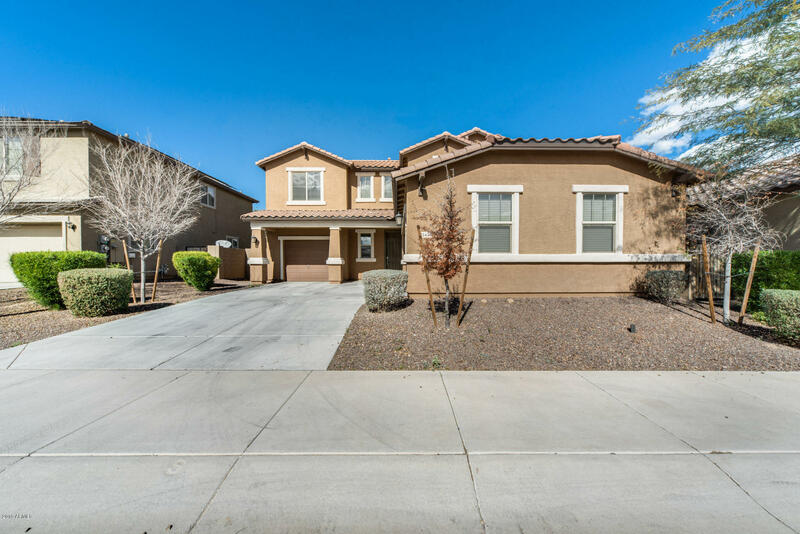 All SIENNA HILLS PARCEL 3 SOU homes currently listed for sale in Buckeye as of 04/19/2019 are shown below. You can change the search criteria at any time by pressing the 'Change Search' button below. "Views! Views! Views! 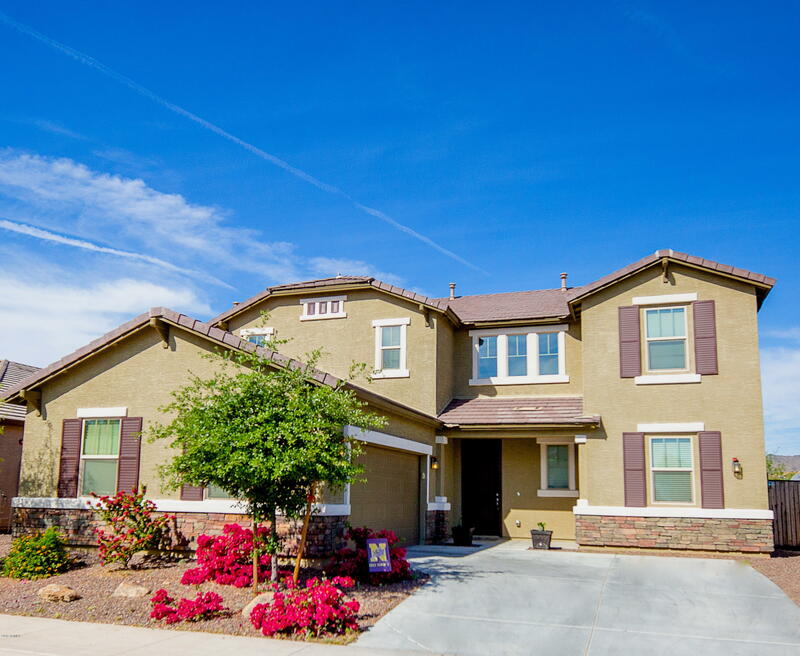 Beautiful 4 bedroom 3.5 bath turn key ready home in Sienna Hills. This 3276 sq' home is ready for entertaining with large entry featuring custom lighting & gorgeous plank floors leading into the heart of the home the large great room & exquisite gourmet kitchen. Kitchen is fully equipped with custom counter tops, 42'' high cabinets, walk-in pantry, stainless appliances, double ovens, huge custom granite island & butlers pantry into formal dining. Downstairs also includes "
"Gorgeous 4 bed, 3.5 bath home nestled in the great community of Sienna Hills, offering nearby parks and shopping. 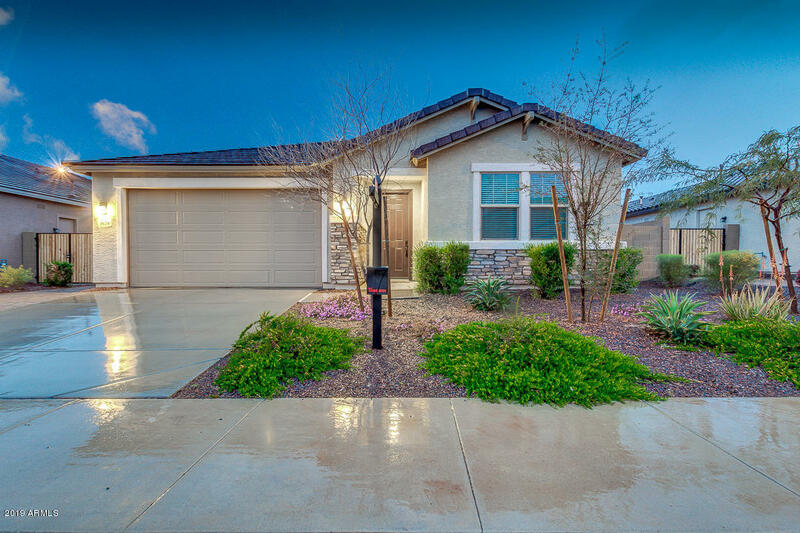 You'll love the vaulted ceilings, plush carpet and tile in all the right places. The formal dining and family room offer the perfect room to entertain. Your kitchen has stylish granite countertops, abundant cabinets, and stainless steel appliances. A large center island provides extra storage and meal prep space, which is perfect for any chef! Upstairs you'll find the laundry room, s"
"**Beautiful Corner Lot Home with an added Lap pool and Built in BBQ perfect for cooling off during the summer months and entertaining family and friends.This amazing new built home features custom tile, Granite counter tops, White cabinets as well as upgraded hardware throughout. upgraded pavers at the covered patio and walkways. home also has Solar Panels.A Must See!!" "Wow! 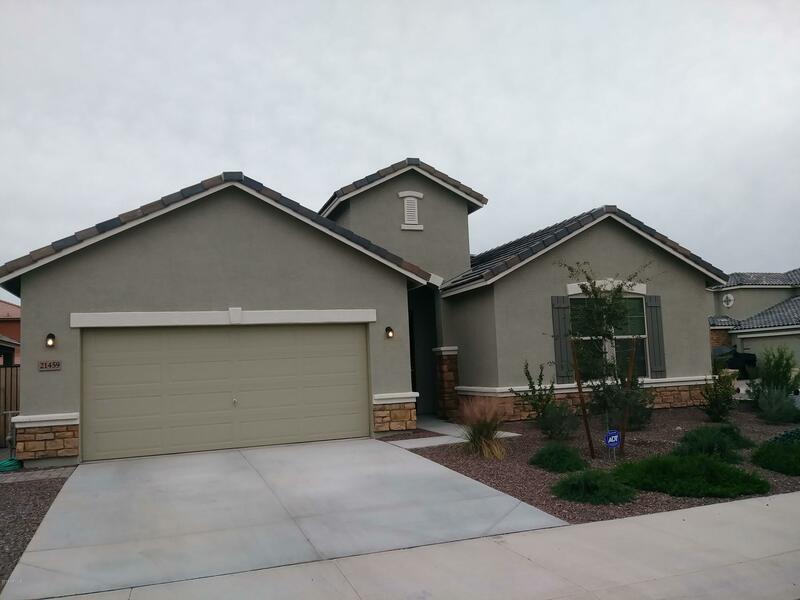 This single level home located in Buckeye is a beauty! Highly upgraded and in impeccable condition waiting just for you. Featuring stone accents on the facade, and RV gate. Fabulous interior is complete with 4 bed, 3 bath, 9 ft ceiling, 8ft doors, neutral color palette, living/dining area, and luxurious light fixtures throughout the house. Dreamy eat-in kitchen is equipped with sparkling stainless steel appliances, recessed/pendant lighting, ample cabinetry with crown molding, granite count"
"You'll love this spacious home in Sienna Hills offering 3 bedrooms + den & 2.5 baths in 2,246 SF w/an open great room & floor plan. The gourmet kitchen has maple cabinetry w/crown molding, granite counters, stainless appliances, back splash, double wall ovens, island w/breakfast bar seating, pantry & gas cook top. 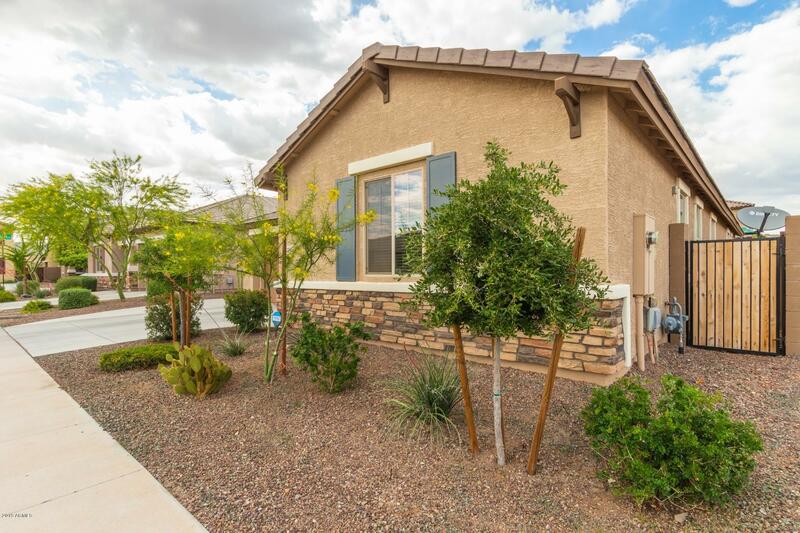 The upgraded backyard has a covered patio, extended patio w/beautiful pergola, paver patios, Artificial turf, desert landscaping & above ground spa, perfect for entertaining! Large mas"